The widespread use of agrochemicals in ecosystems is a growing concern due to the adverse effects on human health and environment. 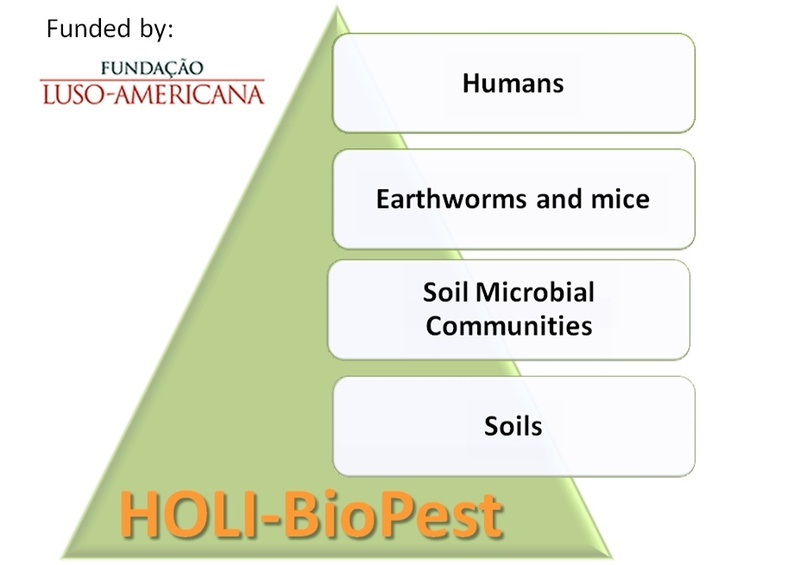 This project aims to assess the ecotoxicological effects of chronic exposure to agrochemicals in different organisms by: analyzing the genetic diversity and enzymatic bioactivity (soil microbial communities); to determine the genotoxic and histophysiologic effects in an endogeic organism (Amynthas gracilis); to evaluate the genotoxicity and endocrine disruption in terrestrial mammals (Mus musculus); and, to study cytotoxic and genotoxic effects of occupational exposure in humans. This approach will allow the selection of biomarkers of exposure and effect fundamental for biomonitoring agrochemicals in agricultural ecosystems, contributing to the improvement of a sustainable agriculture in Azores. Funded by Fundação Luso-Americana para o Desenvolvimento (Proj. 56/12). The project includes 7 international Researchers (University of the Azores/CVARG, Portugal; Washington State University, USA; University of Cardiff, UK), where two of them are either integrated members (P.V. Garcia) or Ph.D. students (C. Parelho) of the RG Island Environmental Risks & Society.